Our Alaska moose hunt takes place on the Alaska Peninsula in September, between the 10th and the 25th yearly with temperatures ranging 30 to 55 degrees. We hunt Unit 9E which is a designated trophy moose area by the state and has a minimum antler size restriction of 50 inches or better. Our target is moose with antlers over 60 inches. We are usually shooting moose in the 65 inch range. I will pick you up at Pilot Point and you will spend a night at the main lodge. The next day you will be flown out to a spike camp with your guide. Your hunt generally takes place within 15 miles of the main lodge When the season opens, the rut is just beginning. We track moose throughout the Fall. We choose our moose for their size and points and put a camp in as near as possible. You will be flown to your spike camp with your guide. Your days on this hunt will be spent glassing a short distance from your camp with your guide and doing a lot of calling. We usually set up in an area that will give you the best view and spend most of the day there, possible moving to another area in the late afternoon. Alaska Coastal Bear hunting is done in unit 9E on the Alaska Peninsula 85 miles below King Salmon. This is in the heart of bear country which begins around Lake Illiamna and ends at Cold Bay. 400 miles of bear country...I am in the center of it. We have the biggest bears in the world here along with Kodiak Island, about 150 miles away. 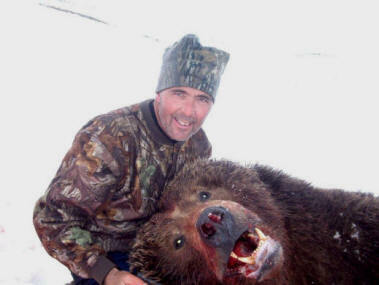 We hunt bears from 8 to 10½ feet with 80-90% success over the years, and had 100% one spring season. 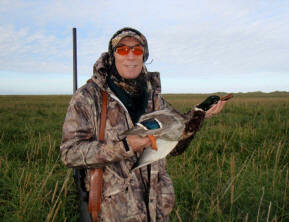 I hunt on both US Fish and Wildlife lands and State lands. I have the permits: you do not have to draw them. While bear and moose seasons are separate, you can hunt wolf when you hunt bear. There are no tags and no trophy fees for a wolf. All of my hunts are fully guided. All food and transportation in the field are provided. Hides and capes are fleshed and salted prior to leaving camp. We are one of the few that still do it. All hunts are secured by a contract that is required by the State of Alaska. This contract defines costs and what I will do specifically for you when you book a hunt with LaRose Guide Service. It also defines what you will need to do. I also have aircraft at the main lodge at all times to handle any situation that might occur. Any hunt can be secured with a non-refundable 25% deposit. If you cannot make your contracted date you can rebook at another time if you inform me four months prior to the hunt. I have internet at the lodge to help with communications if you need. We also have the ability to get you out of the field and headed home if the need arises. Also incorporated in the price of your hunt is the payment of any federal and borough land use fees, and the Alaska Professional Hunters Association non-resident hunter preservation fund fee ($150.00). A fee of $150.00 will be incorporated into your balance. This is paid to the Alaska Professional Hunters Association’s Non-Resident Hunting Preservation Fund. 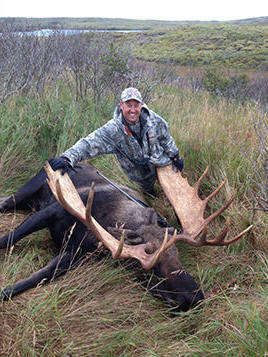 This fund provides for a proactive approach to many issues affecting hunting in Alaska. Our goal is to preserve hunting for all future generations. You will receive in return for your fee; Association membership and magazine subscription for two years, Association patch, lapel pin and decal, and a custom designed conservation pin. Take a look at this link to see more about the program.